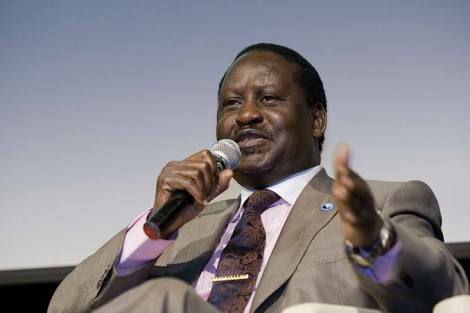 Kenya opposition leader Raila Odinga said on Wednesday he would go to court over the Aug. 8 presidential election results, ignoring calls by some election observers that he concede defeat to President Uhuru Kenyatta. Around 24 people have died in violence since the election and Odinga’s decision will likely ease concerns that he would call for demonstrations that might trigger further violence. Odinga told reporters: “we have now decided to move to the Supreme Court. The election board said on Friday Kenyatta had beaten Odinga by 1.4 million votes to win a second five year term. Odinga disputes that figure. He has not yet provided proof of rigging but promised to do so in court. The move to the judiciary will relieve Kenyans who feared a repeat of the violence that followed a 2007 vote, when Odinga called for protests after a deeply flawed poll. The demonstrations sparked ethnic violence and around 1,200 people died. Odinga also contested, and officially lost, elections in 2013, but quelled potential violence by taking his case to court. Judges eventually ruled that much of his evidence was being submitted outside time limits set by the court, frustrating his supporters and sparking suspicion of the judiciary’s independence. Odinga emphasised in his speech that his decision did not mean he was giving up the fight. “By going to court we are not legitimizing misplaced calls from some observers for us to concede. “We are seeking to give to those who braved the long lines in the morning chill and hot afternoon … a chance to be heard,” he said.